This comprehensive QA Level 3 Award in First Aid at Work (RQF) qualification course covers a wide range of First Aid emergencies, enabling all participants to deal with an emergency situation with confidence in a prompt, safe and effective way. This course will give participants a qualification to the highest level of First Aid, meeting the statutory requirements of the Health & Safety (First Aid) Regulations 1981. You can be assured that you are meeting your First Aid Training requirements by attending this First Aid at Work training course which is Ofqual regulated. This course can be delivered direct in your workplace at a time and date which meets your business needs – or if you only have one or two members of staff who require the QA Level 3 Award in First Aid at Work (RQF) qualification we do offer ‘Open Courses’. What’s more, as a regulated first aid training qualification, employers can book this course for their employees and rest assured that they have fulfilled their legal responsibilities for providing quality first aid training, without having to undertake any lengthy due diligence checks introduced in the recent HSE changes. 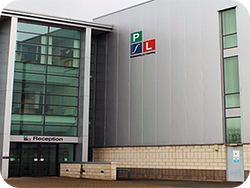 Level 3 award in First Aid at Work – Delivered directly in your place of work for 6-10 delegates for only £990.00 +Vat. First Aid at Work ‘Open Course’ only £185.00 +Vat per delegate. Call Janine or Mark on 0151 515 0416 for further details or to secure your First Aid at Work training place on our Open Course. All successful delegates will be issued with a new accredited First Aid at Work certificate, valid for a three year period. This course is designed for people who have a specific responsibility at work, or in voluntary and community activities to provide first aid when dealing with an emergency situation. This course will enable successful candidates to act as the nominated first aider in their workplace. 3 Days (Normally 6 hours per session) Ideally, the course should be run over three consecutive days, but we have the flexibility to accommodate your specific needs if you so desire providing it is completed within 10 weeks of starting the course. This course will equip delegates with the knowledge and skills to be able to carry out emergency first aid as the first responder to an incident. After completing a final assessment by an external assessor successful candidates will receive an accredited approved certificate valid for three years. Prior to expiry of the certificate, first aiders need to undertake a re-qualification course to continue to practice as a qualified first aider. 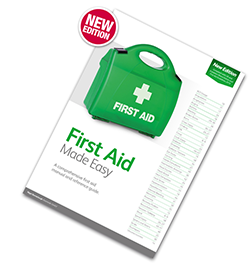 Includes a FREE first aid at work manual and because this is a fully accredited first aid course you can be assured that you have fulfilled your legal responsibilities for providing quality first aid training to your staff. For more information on our First Aid at Work Courses offered by Training Solutions North West and how we can help you find the right training courses for your business please email us. Or alternatively, call us on 0151 515 0416 and speak with one of our training consultants. QA Level 3 Award in First Aid at Work (RQF) qualification course covers a wide range of First Aid emergencies, enabling all participants to deal with an emergency situation with confidence in a prompt, safe and effective way.